Lára Dawn Michelsen resides in Þorlákshöfn, a small fishing village in Iceland. From a young age, she had a passion for stories and watched almost every film that came on the television screen. One day she watched the films Cat on a Hot Tin Roof (1958) and A Streetcar Named Desire (1951). Those films inspired her to write a story, a story that eventually morphed into the novella that is now Goodbye Ingrim. Goodbye Ingrim by Lára Dawn Michelsen is a mesmerizing story with compelling characters and powerful hints of adventure. Ava Ingrim left home and moved to the city against her father's wishes. It has been many years since her brother, Ace Ingrim, last heard from her and, worried, he decides to move to the city in search of her. He doesn't find her where he thought she'd be. Then he quickly learns that she's been married, and this comes as a shock to the young man. But when he finally finds his sister, he learns a more shocking, painful truth. 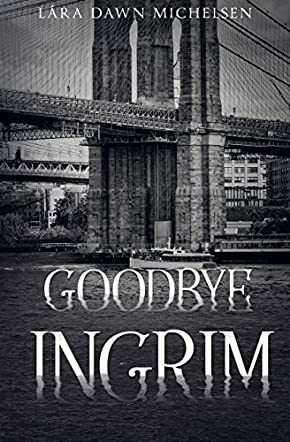 Goodbye Ingrim is deftly written and Lára Dawn Michelsen has a descriptive style of writing that conveys emotions succinctly, capturing the emotional and psychological implications of the story in a unique way. The narrative begins with a powerful image, one that is as clear as it is intriguing and I just loved how the author melds elements of the setting with a unique plot detail... the quiet breeze that flows through the midsummer heat, the young man stepping off the train onto the railway platform and looking both ways, perhaps lost. One is compelled to read on to find out who he is and where he is and what he really wants. Ace is a character that readers will love to follow. This story is about the drama that is witnessed very often when young people leave the simplicity of life in rural areas to pursue dreams in the city. It is filled with pathos. I enjoyed the fluidity in the prose, the excellent handling of the plot, and the focused and balanced writing.